Modernize your home with the Flintley Bookcase! This unique piece is perfect for adding style to your home, whether that be in the living room or the entry way. 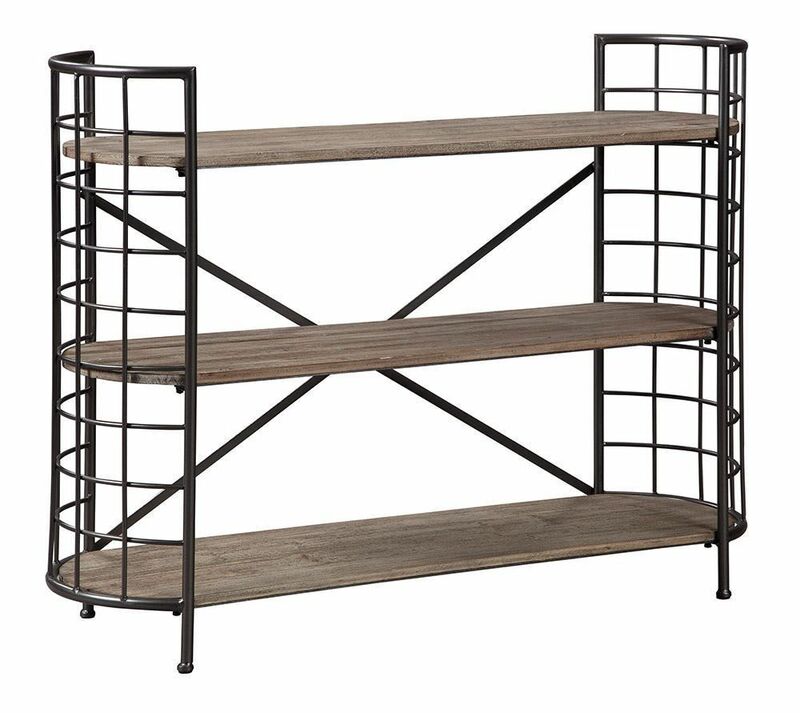 A metal frame with a black finish, gray washed wood finished shelves, and curved edges make this bookcase super stylish and functional. Display your favorite books proudly or stack your own elegant decor on the perfectly curved shelves to add to the character of your home. Bring home the Flintley Bookcase today! 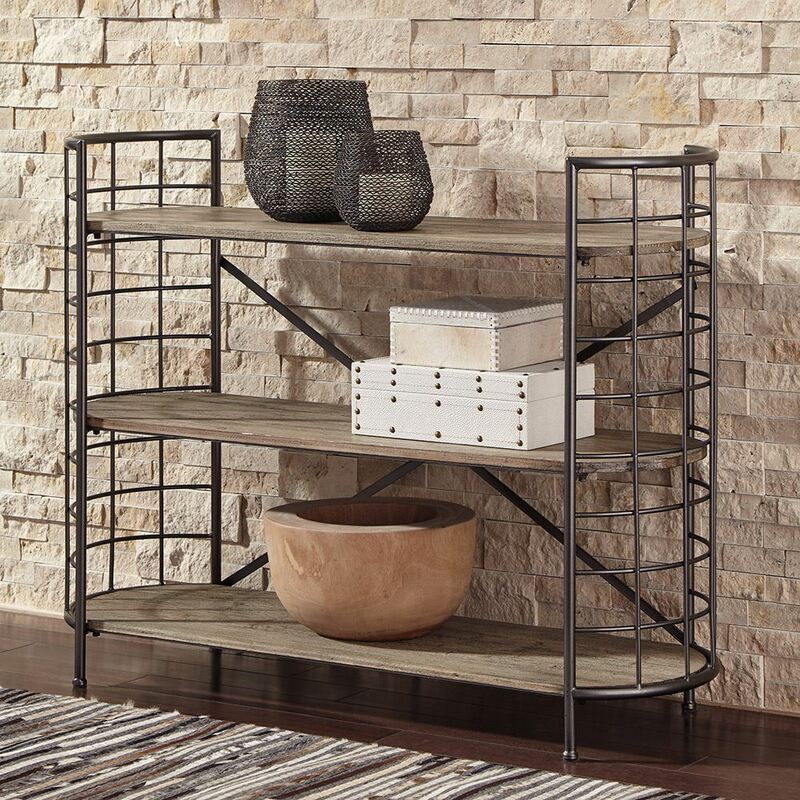 Modernize your home with the Flintley Bookcase!